On 9 December 2016 the Svea Court of Appeal (Sweden) rejected Kazakhstan’s request for the award in Anatolie Stati, Gabriel Stati, Ascom Group SA and Terra Raf Trans Trading Ltd v Kazakhstan (Arbitral Award in SCC Case No. V (116/2010) the “Award“) to be set aside, finding Kazakhstan’s allegations regarding a presentation by investors during the SCC proceedings, false evidence and misleading information not proven. This case is controversial, and raises several issues regarding the evaluation of the investments and the assessment of damages following the state’s harmful measures. However, we will see how this story will end, and how the local competent courts where the investor is seeking recognition and the enforcement of the SCC award will approach the procedural breaches invoked by Kazakhstan. Therefore, this decision may not be the final step in this matter. 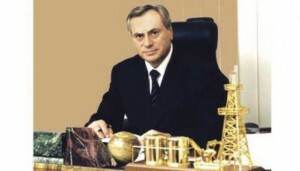 The whole story started in 1999, when Anatolie Stati and his son Gabriel Stati, through their companies Ascom Group S.A. (“Ascom“) and Terra Raf Trans Trading Ltd (“Terra Raf“) (jointly named as the “Investors“), started to buy shares in two local companies Kazpolmunay LLP and Tolkynneftgaz LLP. Kazpolmunay had extraction rights to the oil field Borankol, in which the LPG plant would built by Tolkynneftgaz, who had had similar rights in Tolkyn. In the spring of 2009, the Kazakh authorities unexpectedly started to file claims against Kazpolmunay and Tolkynneftegaz, the companies that had been rather successfully developing two small fields in Mangistau Oblast for over 10 years. At the end of April 2009, the financial police arrested the authorised representative of Anatol Stati in Kazakhstan, the general director of Kazpolmunay: Sergey Kornegrutsu. At the beginning of May 2009, the financial police raided the offices of Tolkynneftegaz and Kazpolmunay in the city of Aktau. After that, the financial police arrested the property and bank accounts of both companies. Before long the financial authorities officially reported that the firm headed by Sergey Kornegrutsu “without license operated main oil and gas pipelines and received an illegal income of 21.67 billion tenge (about 147.8 million USD)”. From the logic of the investigation it follows that Kazpolmunay was for 10 years illegally transporting the crude via main oil pipelines belonging to the national operator KazTransOil. In August 2010, the Ministry of Oil and Gas of Kazakhstan terminated ahead of schedule contracts for subsoil use of two subsidiaries of Ascom, following court judgments that recognised both companies as unfair investors. The government also cancelled the contract with Tolkynneftegaz for the construction of the Borankolsky gas-processing plant. The oil fields Tolkyn and Borankol in the Mangistau Oblast seized from the Moldavian businessmen were transferred to KazMunayGas, a state owned company. The Kazakh court rulings recognised both of Stati’s enterprises in Kazakhstan as unfair investors, and in 2010 the government transferred both ownerless fields to KazMunayGas. The national oil company is obliged to use all available fields with maximum benefit for the state. On 26 July 2010 investors (who were the claimants in those proceedings) filed their Request for Arbitration at the Stockholm Chamber of Commerce and appointed Mr David R Haigh QC of Canada as arbitrator. Investors alleged that they had invested hundreds of millions of dollars over the ensuing decade to turn the companies into successful exploration and production businesses. In late 2008, after the businesses had become profitable, more than half a dozen government agencies carried out a number of burdensome inspections and audits of the companies’ businesses. Those inspections resulted in false accusations of illegal conduct directed at the claimants and their Kazakh companies, including a criminal prosecution of their general manager on false pretenses. Kazakhstan’s actions challenged the claimants’ title to their investments, subjected them to millions of dollars in unwarranted tax assessments and criminal penalties and ultimately led to the seizure of their investments by the Kazakh authorities in 2010. Therefore, investors claimed damages of over 1 billion USD in the arbitration proceedings. On 23 September 2010, the Arbitration Institute of the SCC appointed Professor Sergei Lebedev on behalf of Kazakhstan (the respondent in those proceedings) as an arbitrator in that case. Following that, on 28 September 2010 Professor Karl-Heinz Böckstiegel accepted his appointment as Chairman of the tribunal. Subsequently, Kazakhstan challenged the appointment of Professor Lebedev by the SCC, arguing that the time limits within which Kazakhstan had filed its answer regarding the appointment of the arbitrator were exceptionally short, indicating that it had been prejudiced and that the hasty appointment had impaired procedural fairness. Kazakhstan’s allegations were rejected by the arbitral tribunal. The arbitration took place in Stockholm, and the arbitral tribunal rendered the judgment on 19 December 2013. The SCC tribunal found that Kazakhstan had breached its fair and equitable treatment obligations under Article 10(1) ECT given the series of measures taken culminating with seizure of the claimants’ oil and gas operations within Kazakhstan. The tribunal also found that the investors were entitled to damages consisting of 508,130,000.00 USD. Subtracting the subtotal of debts in the amount of 10,444,899.00 USD from the subtotal of the compensation, the arbitral tribunal decided that Kazakhstan should pay to the investors a net amount of 497,685,101.00 USD. That amount had to be paid from Kazakhstan to the investors with interest, defined as the rate of six months’ US Treasury Bills from 30 April 2009 to the date of payment, composed semi-annually. On the costs of arbitration, the tribunal decided that of the costs of arbitration as determined by the SCC, Kazakhstan shall bear ¾ and the investors ¼. Those arbitration costs had to be drawn from the advances paid by the parties to the SCC. Also, the tribunal decided that Kazakhstan had to pay the investors 50% of the investors’ costs of legal representation, ie 8,975,496.30 USD. Two of the arbitrators were divergent. Professor Sergei Lebedev dissented on the arbitral tribunal’s jurisdiction and David Haigh on the issue of damages. Following the award, Kazakhstan commenced proceedings in the Svea Court of Appeal in Stockholm (the “Court“) to seek its annulment or variation, objecting to the appointment of Professor Sergei Lebedev to the tribunal by the SCC Arbitration Institute. Kazakhstan also argued that a US$199 million valuation of a liquefied petroleum gas plant operated by the claimants was obtained by fraud, in circumstances where the plant should have been found to carry scrap value only. This latter argument is said to be supported by documents obtained by Kazakhstan in June 2015, following an order for discovery against the law firm Clyde & Co in separate proceedings in New York. Those proceedings were brought under 28 U.S.C. §1782, which provides that US district courts may order parties to produce documents or give testimony for use in a proceeding in a foreign or international tribunal. However, the Court did not consider this argument to be proved. c) The arbitration award should be set aside in whole or in part because the tribunal has exceeded its mission and / or procedural errors committed by each one, or at least in combination, have affected the outcome of the case. However, the Court rejected all the allegations and left the Republic of Kazakhstan’s action dismissed, and ordered it to pay the the investors’ litigation costs before Court of Appeal. The judgment of the Svea Court of Appeal seems to open new opportunities for enforcement of the Award, given the fact that the investors have already made several steps to seek enforcement of the award. In this way, the Court of Appeal confirmed the legitimacy of the SCC award, confirming that there were no procedural infringements during the SCC arbitral proceedings. Therefore, the investors had already applied to the English High Court for enforcement of the SCC award. Kazakhstan did not seek an adjournment of the application, but the Court made an order to that effect of its own motion: accordingly, it was ordered that the hearing be adjourned and rearranged for a time after the Svea Court of Appeal was expected to have given its judgment on the annulment application. In addition, the investors had applied to the District of Columbia Court (The case Anatoli Stati et al. v Republic of Kazakhstan, case number 1:14-cv-01638, in the US District Court for the District of Columbia) where on 5 August 2016 the federal judge ruled that his court has jurisdiction to hear the investors’ arbitration suit against Kazakhstan, but stayed the case while an appeal of the award played out in Sweden.